Official FDC with National Football Museum Special handstamp on 1st day of issue. 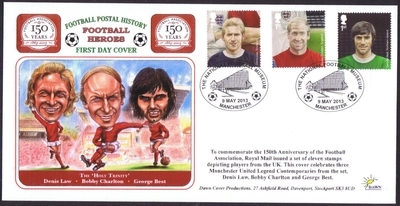 3 stamps for Denis Law, Bobby charlton and George Best - The Trinity. Complete with filler card.